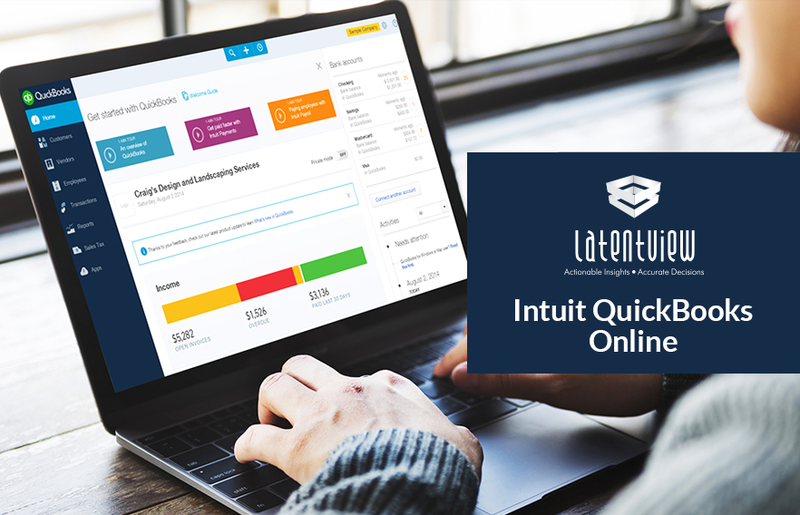 Intuit’s QuickBooks is an industry-leading accounting software especially among SMBs, that allows them to accept business payments, manage and pay bills and also offers payroll functions. In addition to its popular Desktop version, Intuit also launched a cloud-based version of QuickBooks, called QuickBooks Online (QBO) in recent years. While QBO continues to be one of the most popular online accounting platforms, it has come in for significant criticism from its customers on various fronts. 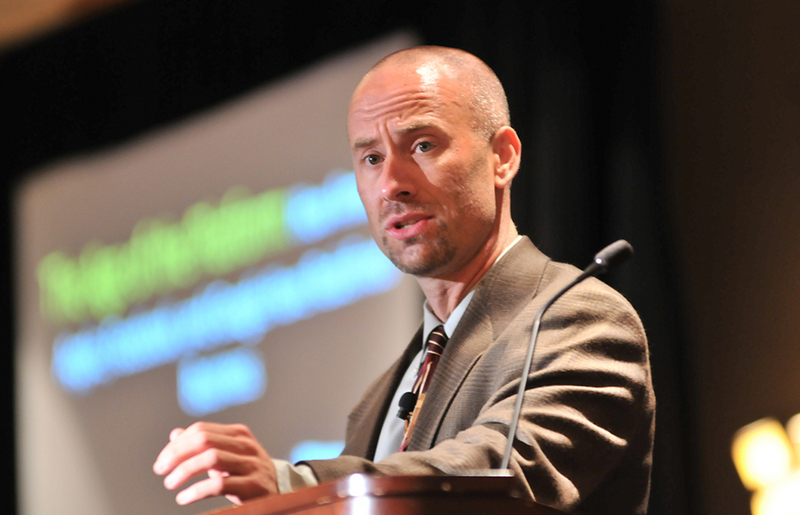 For Intuit, migrating users from QB Desktop to QBO is an important organizational priority. And for such a migration to be successful, Intuit needs to address the various issues that its users are highlighting around the QBO product. This analysis is aimed at understanding the reasons for dissatisfaction with QBO based on an analysis of users’ comments on QBO vs. other competing products on social media forums, and propose suitable actions Intuit could take to address these gaps. In our attempt to understand the concerns of the users with QBO, we realize that there is a negative sentiment associated with it among the SMBs. The reasons are plenty with customer care, forced upgrade, high pricing and data loss being the crucial ones. This also explains why users prefer and migrate to competitor products where they find value for their money. Also, while comparing QBO with its Desktop version, we also understand that user-friendliness and the attributes associated with reporting, inventory management, invoice generation and payroll services are the areas where QBO misses the mark. On the other hand, we believe users prefer the product for the excellent multi-user ability, accessibility from anywhere and banking feature that it provides. 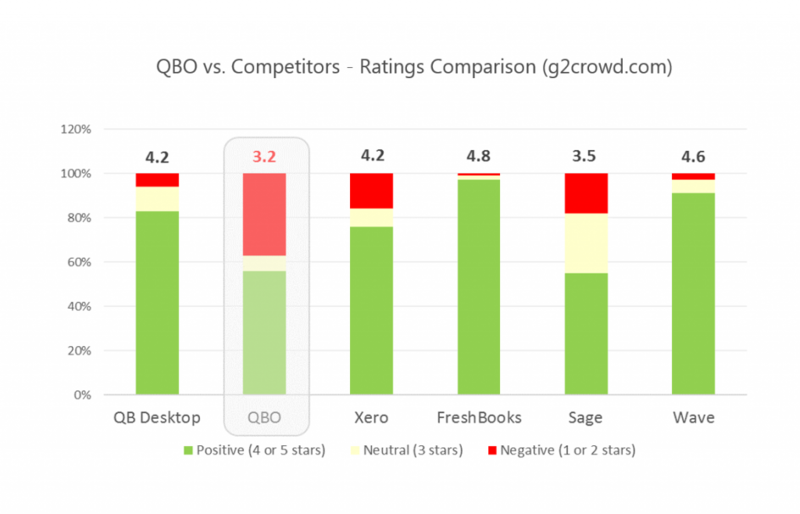 To get such a holistic view of the users on QBO with respect to QB Desktop and its competitors, we identified two data sources – www.g2crowd.com and www.consumeraffairs.com. We then downloaded the conversations and performed sentiment analysis to identify the broad topics of interest/issues revolving around QBO. For our analysis, we have considered the reviews on QuickBooks Online for the period January 2016 to December 2016. We had nearly 131 reviews from the reviewers on QuickBooks Online where reviewers will give what they like about product, what they dislike about the product and if they recommend it to others. Consumeraffairs.com: It is a place online for the brands and their customers to connect and empowers customers by providing a forum for expressing their experience with a brand. For our analysis, we have considered around 100 comments from Users on QuickBooks Online for the period January 2016 to December 2016. Spam Removal: Removed all the spam comments, promotional advertising comments from the raw data. Structured Data Preparation: Structured the data in excel to feed into the analyser. Sentiment Analysis: Based on the key sentiment words, the comment will be assigned some polarity score based on which the comment will be classified as positive / neutral / negative. 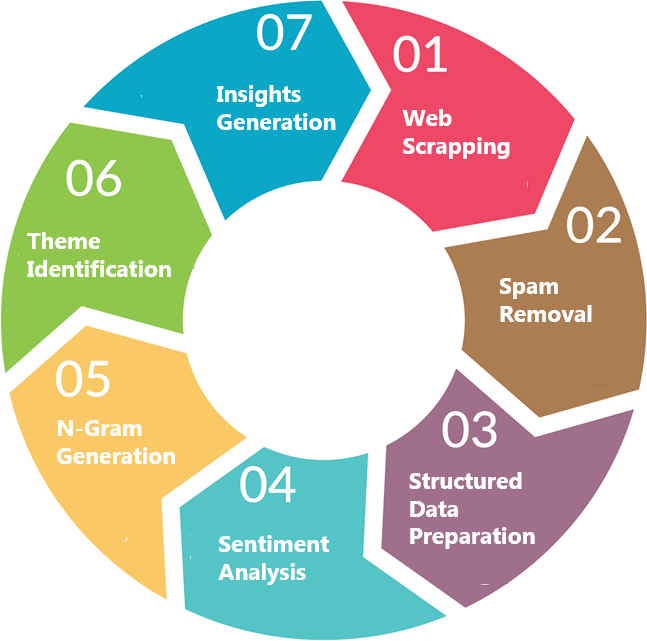 N-Gram Generation: To extract the topics around which these comments revolve, we have used the N-Gram Analysis and identified the key nouns from the conversations. Theme Identification: Grouped the different topics from a comment as broader themes. Insights Generation: Organized the data into specific buckets as drivers and barriers for QuickBooks products and summarized the different perspective of the reviewers. While analysing the profiles of the reviewers (from g2crowd.com), it was found that a majority of them self-identified themselves as small businesses (across all products), refer chart below. Since QBO is a dominant product in the small business segment, the negative perception associated with QBO within this segment is probably all the more cause for concern for Intuit. In order to understand the reasons for the negative perceptions around QBO, we did a deep-dive analysis into the specific topics / features associated with QBO that users were most often commenting on, and the sentiment expressed towards each of the topics. While users associate positive sentiment with QBO’s features such as Accessibility, Multi-user Ability, Bank Feeds, etc., there is significant negative sentiment associated with many other topics like User-Friendliness and Customer Support being the key ones. 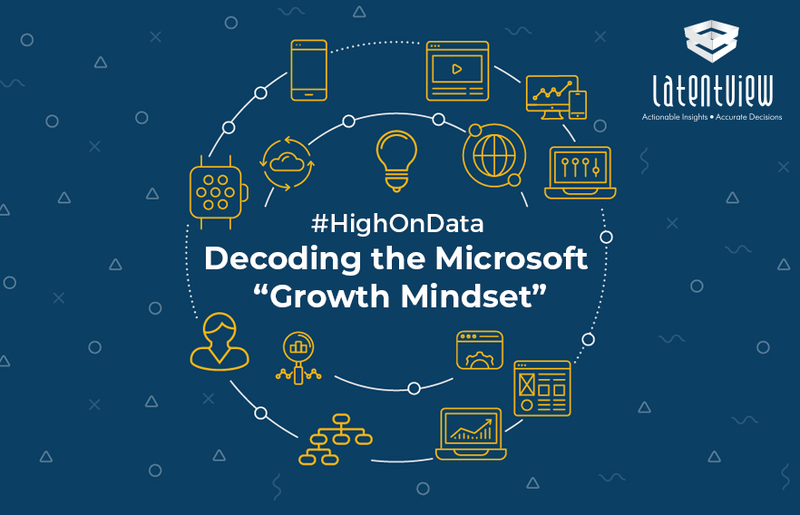 On reading through individual comments associated with these topics, it is clear that users are facing multiple issues around performance, reporting features, customization, etc., when migrating from QB Desktop to QBO. However, what concerns them the most is the lack of adequate & timely customer support to help resolve such issues and make the process smooth. 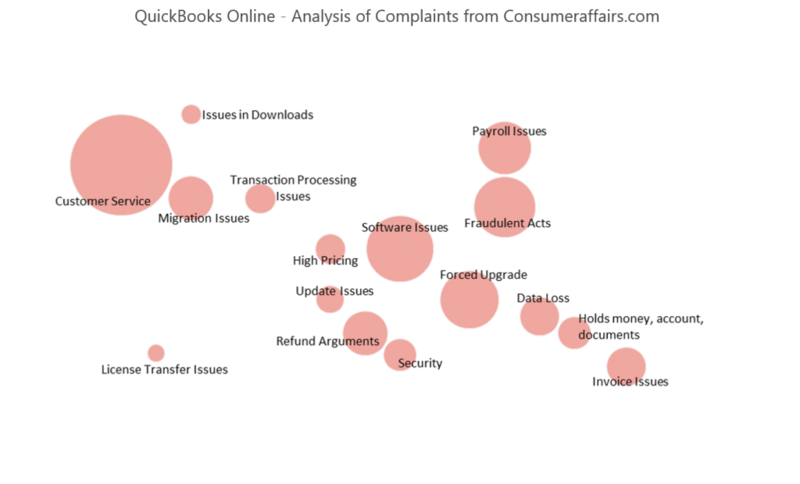 We also did a similar topic analysis on reviews from comsumeraffairs.com (CA). Unlike g2crowd.com where users share both positive & negative feedback, reviews in CA are mostly negative in nature. We did a deep-dive on the key themes emerging from reviews in CA, and we found that they were mostly aligned with the insights we got from g2crowd.com. Customer service was the most talked about issue with QBO in the CA forum. Apart from that, a few other interesting topics came up in the CA conversations, such as Forced Upgrades (i.e. Intuit forcing users to upgrade to QBO), as well as around Payroll Services, Migration Issues from QB Desktop and Software Issues. In general, lack of customer support is emerging as the key reason behind the significant negative sentiment associated with QBO, further impacted by product performance (on various dimensions). The above butterfly graph provides the affinity towards every topic and identifies the sentiment towards each of them distinctly for Desktop & Online versions. 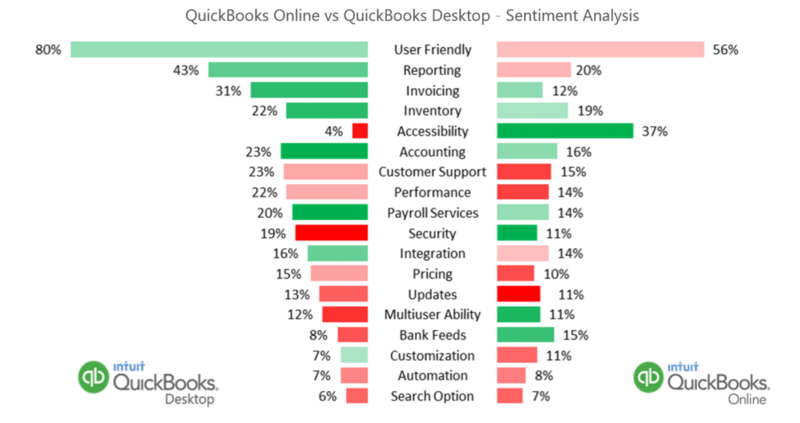 Also, the bubble chart below maps the perceptions towards the desktop and online product. 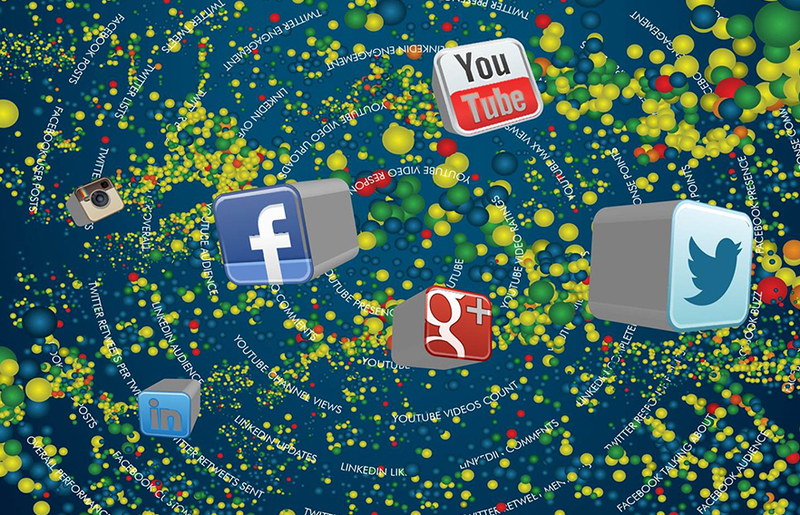 The distance of the bubble is significant of how each theme is being fascinated by the users. The desktop version is preferred more for the data security it offers, performance of the product, better accounting features and reporting capabilities. 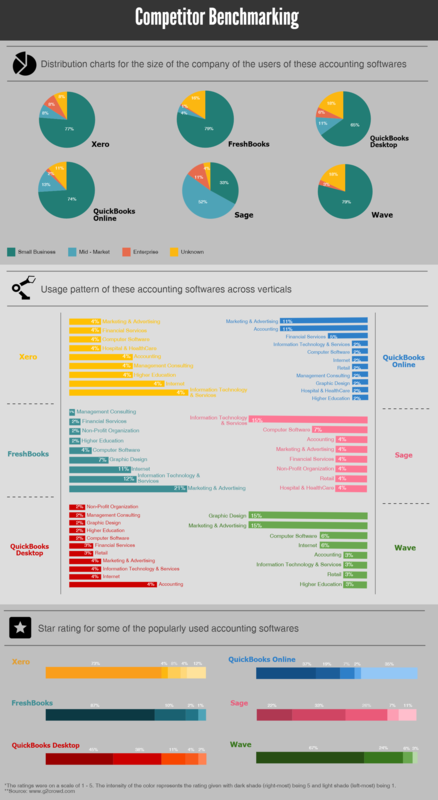 Payroll services, invoicing, Inventory are some of the features that were common to both. Deciding factors of online version and the scenes behind 5-star rating for the product could be attributed to its multi-user ability, banking feed and easy accessibility from anywhere. While comparing with the desktop version from the results obtained, there were some clear distinctions with respect to certain aspects that could be the possible reasons why the users are poised towards one rather than the other. While the ability of the users to access the software for keeping track of their accounts was a key reason why the users leaned towards online version, good reporting and invoicing features added with a more secured account without data and transaction loss were the major strengths attributed towards the desktop version. In addition to the above, the desktop version too had a number of other aspects like good accounting features with a lot more customization options, better payroll services in comparison to the online version. Whereas, multi-user ability and better integration to banking feeds were the only other supporting aspects that gave some respect to QuickBooks Online over its Desktop counterpart. The aspects that the users hated on both the versions of the product were the customer support, the pricing of the product. While the customer support was felt to be too unethical forcing an upgrade, inexperienced and time taking in solving the issues, the updates had complaints of instability that require multiple paid updates to get resolved. Even the performance was despised by the users as it never met the price that was charged. 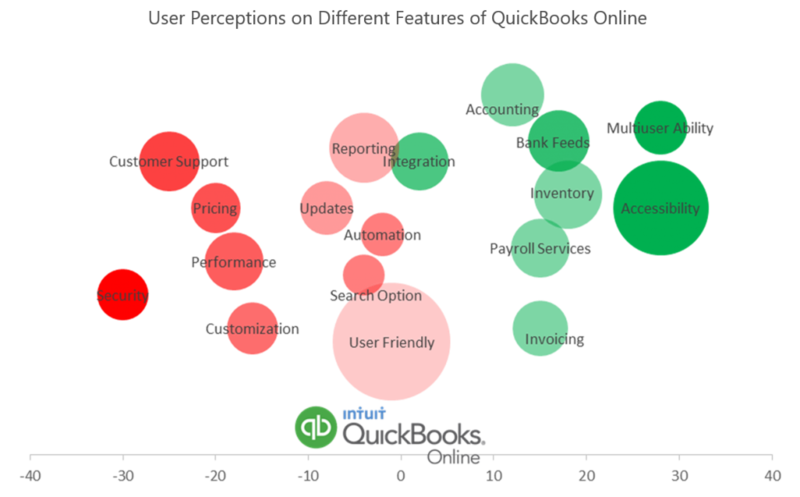 Our social media analysis identified the pitfalls of QuickBooks Online product with respect to both the desktop version and with respect to its competitors. Recognising the challenges faced in migrating existing desktop version users to the online version and converting potential customers to users of online versions will help resolve the concerns of the consumers better. This will facilitate personalized customer support augmenting higher conversion rates in the long run.